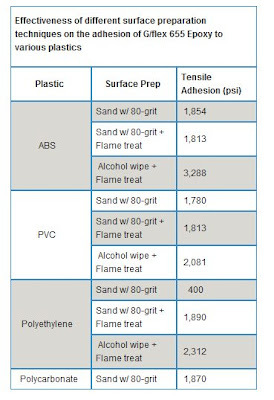 I came across this link to the West Systems site that shows some real data on the strength of adhesion to different plastics when the surface is prepared differently. The result for ABS was very suprising. Flame treating on its own actually reduced the strenght (v. small). Only when it was cleaned up with alcohol in conjunction with flame treating did the bod strength jump up. 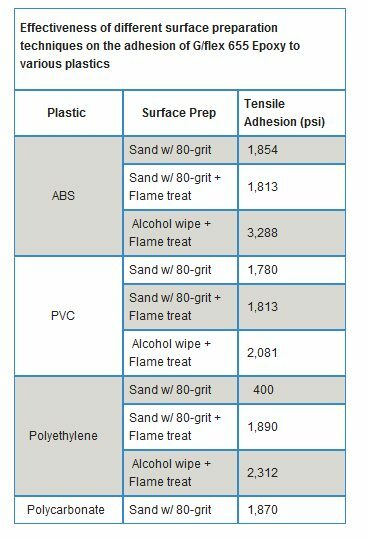 It was also interesting to see how the alcohol/flame increased the bond strength of ABS proportionally more than in other plastics where the roughing the surface and flaming had the biggest impact. Looks like ABS / epoxy bond is most affected by surface contamination.